“If you’re tired of London, you’re tired of life”. And, if you live in London, you’re probably tired of hearing people tell you that. Why? Because sometimes you are tired of London – or any bustling, busy metropolis – and that’s okay. City fatigue impacts us all in different ways. Whether you dread your daily commute, stare at your screen for eight hours a day, or spend what seems like every other evening at leaving drinks down the local, it’s part and parcel of living in a city. However, there’s millions of us who manage it every day, so we sat down with some Urban users to find out how they work their wellness routine into their lives. Wellness and self-care manifests itself in a million and one ways because everyone has their own way of deliberately taking care of their mental, emotional and physical health. Some people self-care by ensuring they get an 8-hour sleep each night, others try and go to the gym three times a week, and others will soak in the bathtub or make sure they eat one thing they really enjoy every day. One of our users, Charlotte, is a mental health social worker who likes to use exercise to help her unwind after a long commute and an even longer working day. ‘I travel 50 miles on a train every single day to my job helping adults recover from mental ill health. When I’m not working, I embrace the countryside that surrounds where I live and take my dog for a big walk most evenings.’ And a wellness routine can be as simple as that – purposely taking the time to do something that feeds your mind, body and soul. Another of our users, Madeleine, can’t stray as far as the countryside, as she’s got two children to keep an eye on. But, when she’s got time just for her, one of the things she loves to do is simply sit down with a book and drift away from it all. Discovering what wellness ritual works for you takes time. If you’ve only got a limited number of hours to spend on you, then sometimes it makes sense for you to choose something which helps you hit more than one of your self-care goals. For civil servant Andrew, massage isn’t just a great way to look after his body, which gets pushed to the limits in the gym. ‘I view looking after myself – which includes massage – as an investment in me as a person’. When you spend every weekday in an office working on projects that make things better for others, it’s only right that you also zone out and make space for bettering yourself too. And that’s the thing – the pursuit of wellness shouldn’t drain you, it should refuel you. 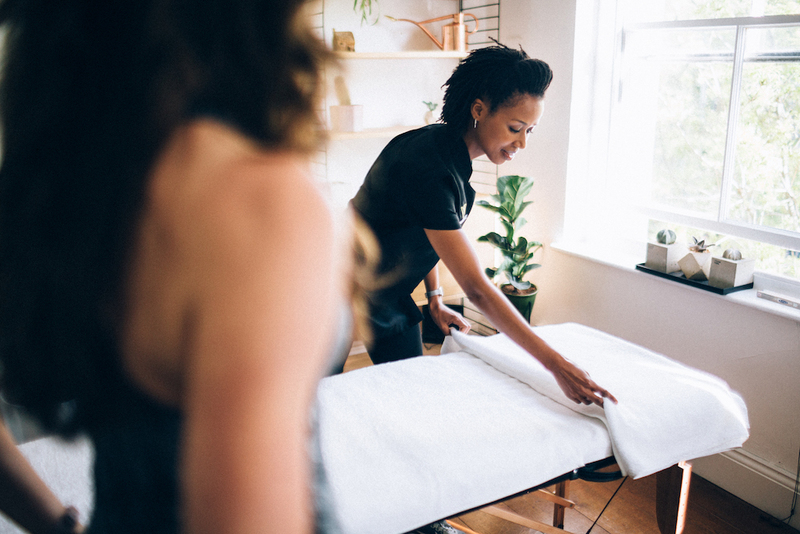 That’s one of the reasons we created Urban Massage – to make it simple, flexible and affordable for you to book some self-care whenever, wherever you need it. Gel, Shellac, OPI Vinylux – What does it all mean! ?